WASHINGTON, D. C. (August 29, 2017) – Howard University and Howard University Hospital recently announced the appointment of James G. Taylor VI, M.D., director of the Center for Sickle Cell Disease, a key institute for the study of new sickle cell drugs. Dean of the College of Medicine and Vice President of Clinical Affairs Dr. Hugh E. Mighty announced Dr. Taylor’s appointment as professor in the Department of Medicine, Division of Hematology/Oncology. Dr. Taylor will also be an attending physician at Howard University Hospital. 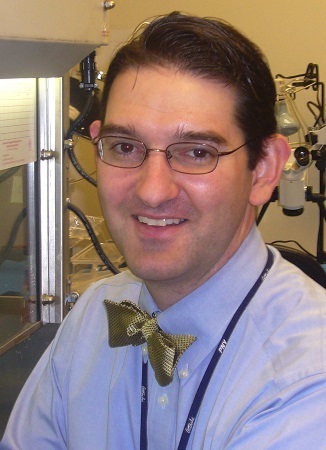 Previously, Dr. Taylor was a clinical investigator at the National Institutes of Health (NIH). In addition, Dr. Taylor said he was committed to further expanding Howard University’s clinical and translational research programs with a focus on new treatments and opportunities for curative therapy. The Sickle Cell Center also has a long-standing commitment to research advocacy and community outreach, particularly screening for sickle cell trait. Dr. Taylor earned his medical degree with honors in research from the Medical College of Wisconsin in 1995. He completed a residency in pediatrics at Washington University School of Medicine, St. Louis Children’s Hospital. He was a clinical fellow in pediatric hematology/oncology and a post-doctoral genetics research fellow at the National Cancer Institute and Johns Hopkins University School of Medicine. The National Cancer Institute is part of NIH. The Center for Sickle Cell Disease was founded in 1972 by the late Roland B. Scott, M.D., and has a distinguished history of leading clinical investigation in sickle cell disease. Sickle cell disease is a severe hereditary blood disorder affecting 100,000 people in the United States. It is prevalent in African Americans and many other people of African descent throughout the world. Founded in 1867, Howard University is a private, research university that is comprised of 13 schools and colleges. Students pursue studies in more than 120 areas leading to undergraduate, graduate and professional degrees. The University has produced four Rhodes Scholars, 10 Truman Scholars, two Marshall Scholars, over 80 Fulbright recipients, 22 Pickering Fellows and one Schwarzman Scholar. Howard also produces more on-campus African-American Ph.D. recipients than any other university in the United States. For more information on Howard University, call 202-238-2330, or visit the University’s website at www.howard.edu.